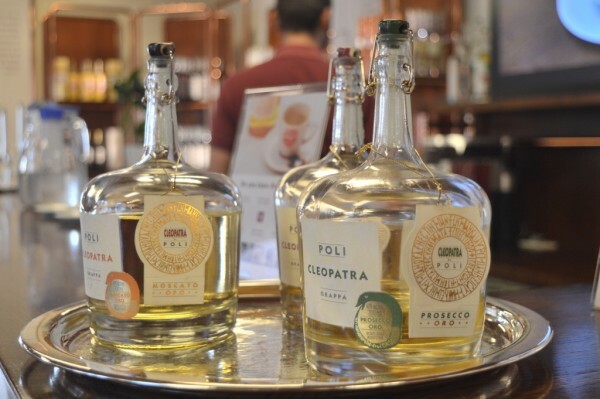 While grappa is not quite regarded as the typical after dinner drink in the UK things are very different in Italy. 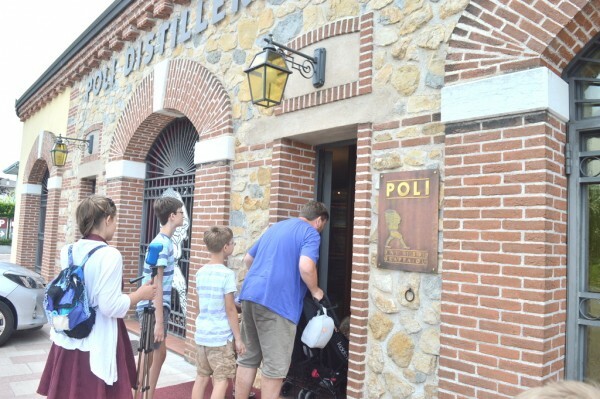 We visited the Poli Distillery, the home of Poli Grappa since 1898, to find out more about the range of grappas and the production process behind them. 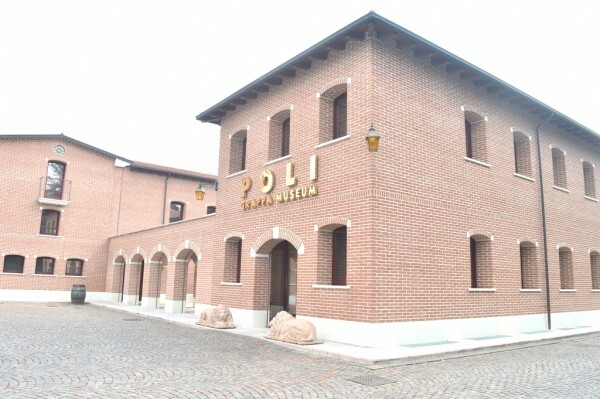 The Poli Distillery is located in Schiavon in the province of Vicenza. It is the place where the range of Poli spirits is distilled and sits beside the Grappa Museum Schiavon and this is where our visit took place. 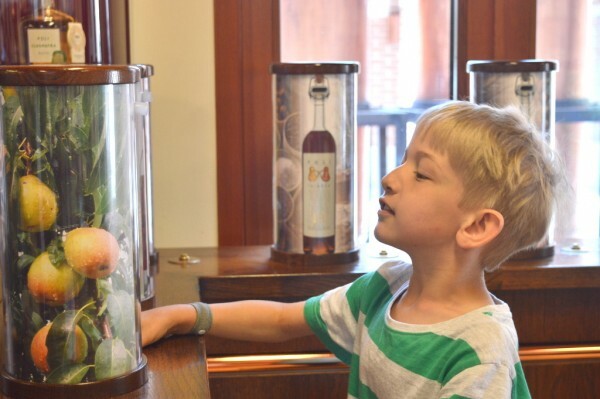 There is also another Poli Museum in Bassano del Grappa which provides visitors with a visual history of grappa through videos and texts. 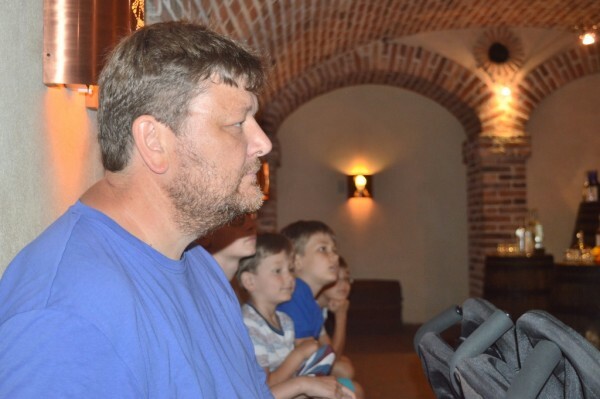 We received a very warm welcome by Alberto, our extremely knowledgeable guide! Grappa is traditionally more of an after-dinner drink or occasional tipple rather than a regular kind of refreshment. There is no single grappa with any one flavour but a host of varieties to suit every taste. Alcohol content also varies between them. 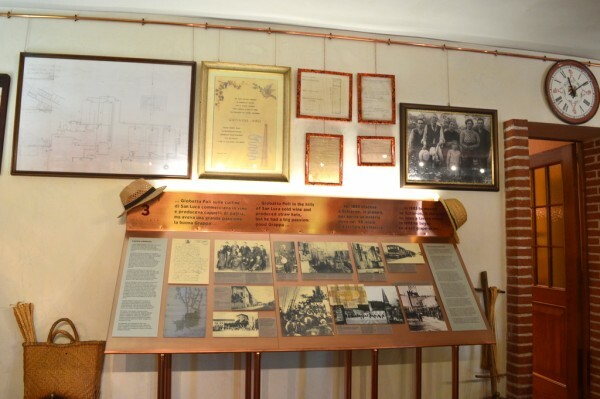 The Poli family’s roots in Veneto go back to the 1400s but it wasn’t until 1898 that GioBatta Poli founded the distillery in the very same location on which it stands today. 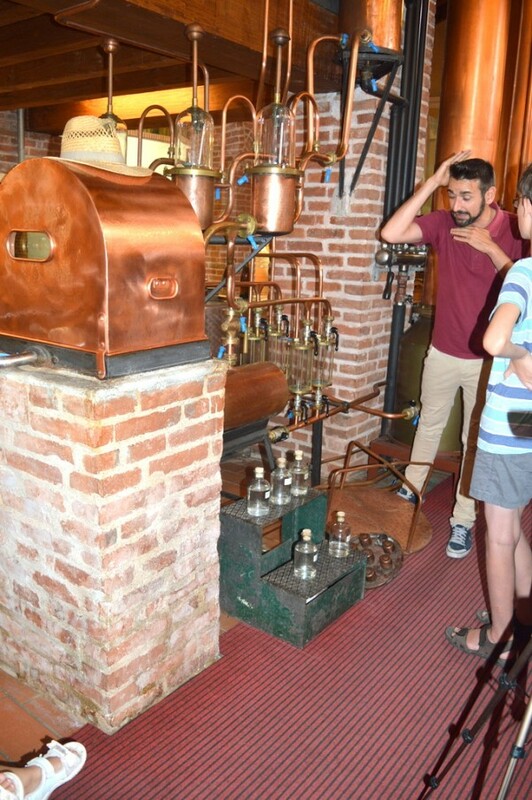 Using a mobile alembic (a distilling apparatus), and 3 boilers his business grew until he was succeeded by his sons little over 20 years later. In 1921 his sons had expanded the company forming two additional distilleries. 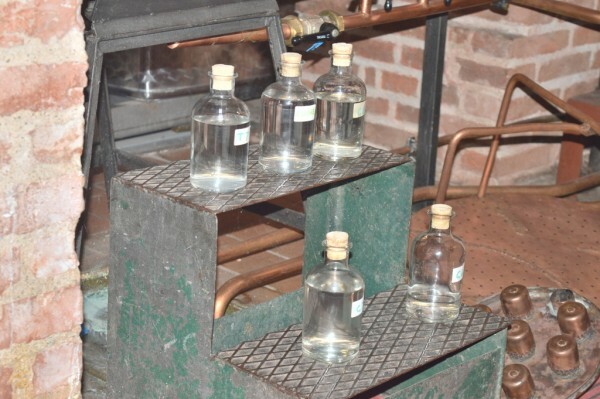 There is some debate as to which method of production creates the best grappa. Some argue that it the bain-marie still produces the finest flavour while others prefer the steam cauldron still. 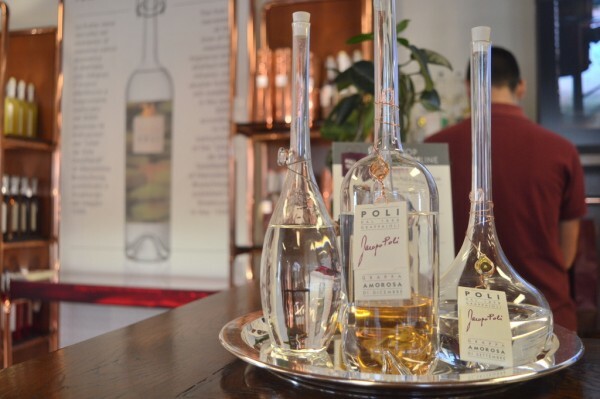 Poli Distilleries use both methods with two versions of the bain-marie; the traditional and the vacuum. 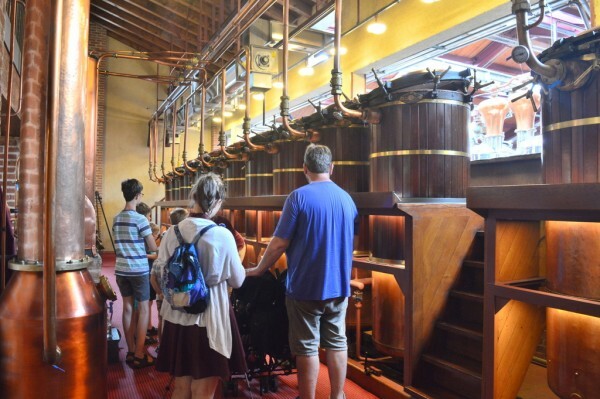 The distillery now has a total of five alembics for a total of 12 steam and 4 double boilers. Grappa is made from the grape remnants left over after winemaking. These leftovers, known as grape marc, comprise the skins, pulp, seeds or stalks – basically anything but the juice that is needed for producing wine. Poli Grappa is produced using the grape marc gathered from the areas covering the Bassano del Grappa, Marostica and Breganze regions. 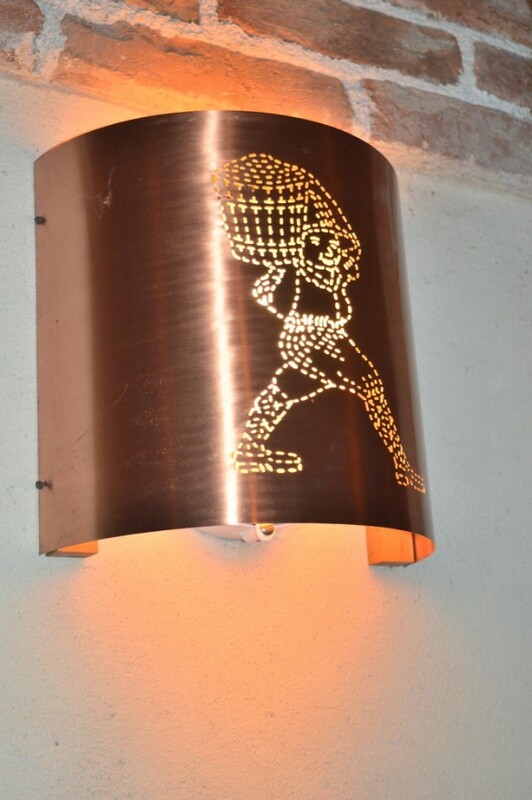 Copper cauldrons are used to distil the grape marc using steam. After approximately three hours of distillation the cauldrons are unloaded and the process begins again. This process is only carried out during the harvest season, ensuring that only the freshest, best quality marcs are used to produce their products. The grappa produced has an alcohol content of 85% – that’s a lot of alcohol and would be far too strong to drink as is! The first two litres, known as ‘the head’ are removed and the middle section (‘the heart’) is kept. The remaining four or five litres referred to as ‘the tail’ are also removed. 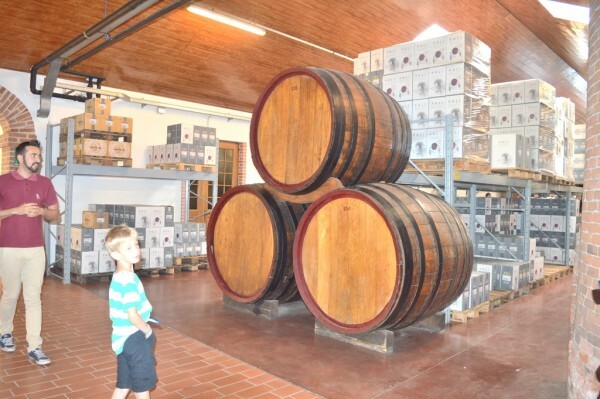 The heart of the grappa holds the young, quality product which then goes on through the production process. 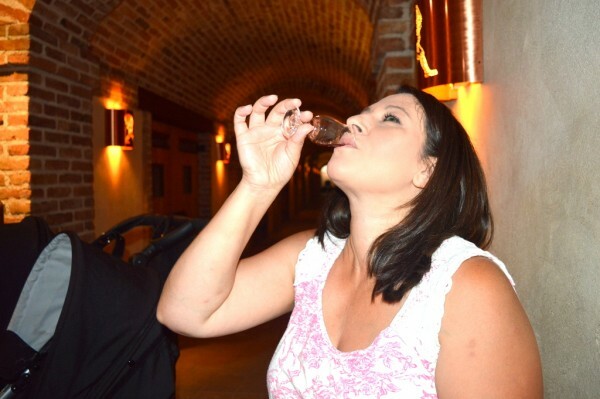 We all had a sniff of the neat, young grappa and it didn’t smell at all bad. Quite the opposite, in fact! 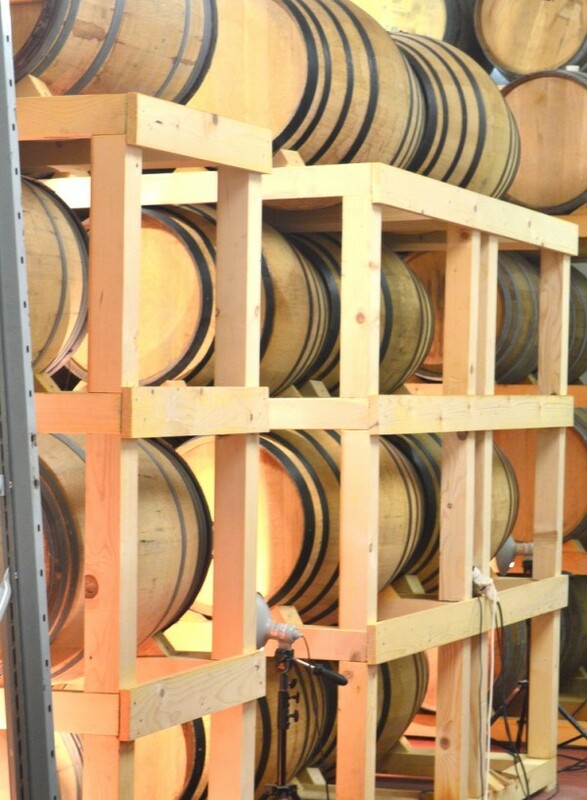 The grappa is then placed into large wooden barrels and left to mature for up to 13 years. Both the type of barrel used and the length of time the grappa is left for will affect the final flavour. 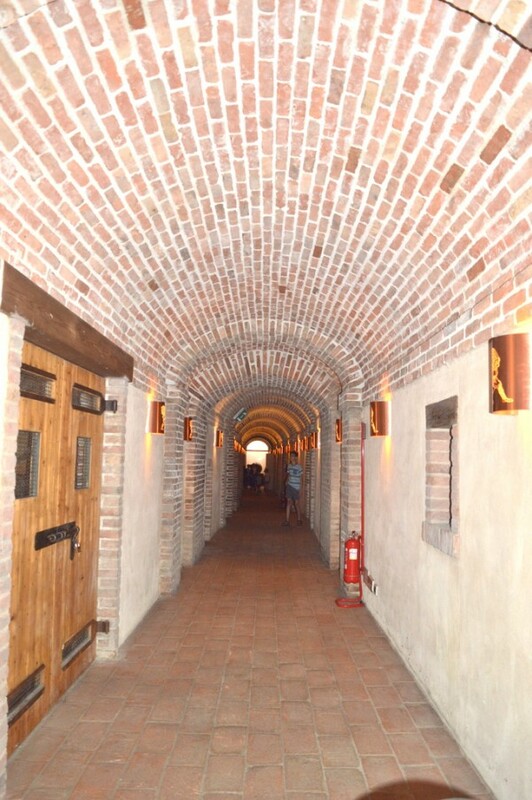 We walked through the cellars which was an experience in itself. We also bumped into one of the fourth generation of the Poli family who now run the business, Andrea Poli. 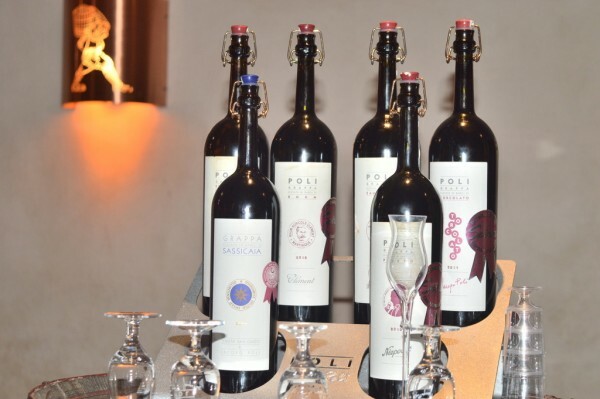 Approximately 40% of the Poli Grappa production is exported to the foreign market including the UK. 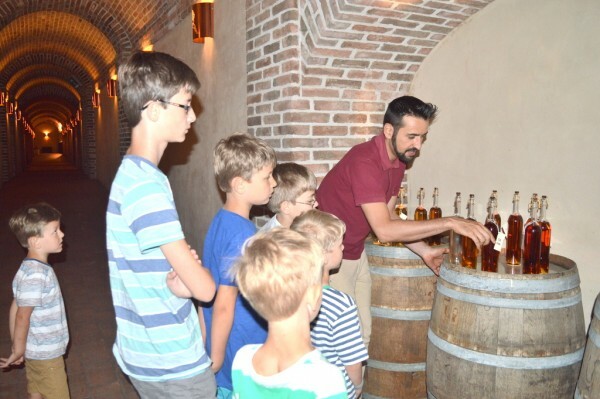 Alberto shows us the different varieties of grappa that Poli Distilleries produce. The range of flavours covers such a wide spectrum with varying degrees of alcohol content within them. The 13-year-old grappa certainly had a mature taste about it, not to mention strong! Other flavoured grappas included blueberry and a coffee cream version akin to Baileys. 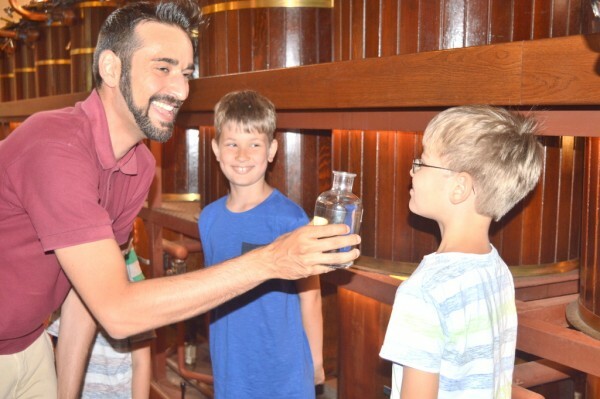 The children couldn’t partake in any grappa tasting, of course. Mike was reluctant to try much at all as he was driving. Though, truth be told, I could probably have tried a little of each. They were delicious – albeit eyewateringly strong in some cases! While the very fabulous Alberto finished off our tour with a fresh, strong coffee to see us on our way the children made an attempt at guessing the varieties of flavours produced at Poli. 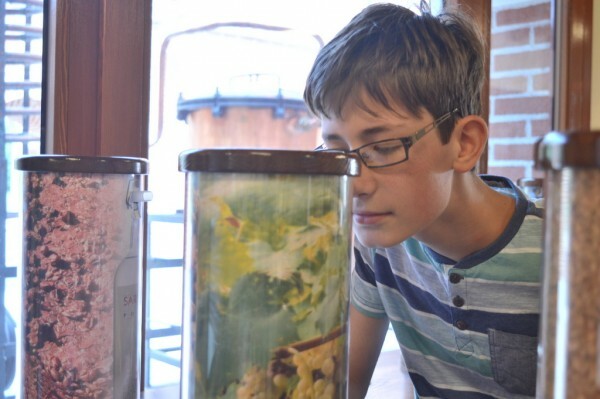 Aromatic puffs were distributed from canisters in the foyer allowing you to smell the various scents for yourself. 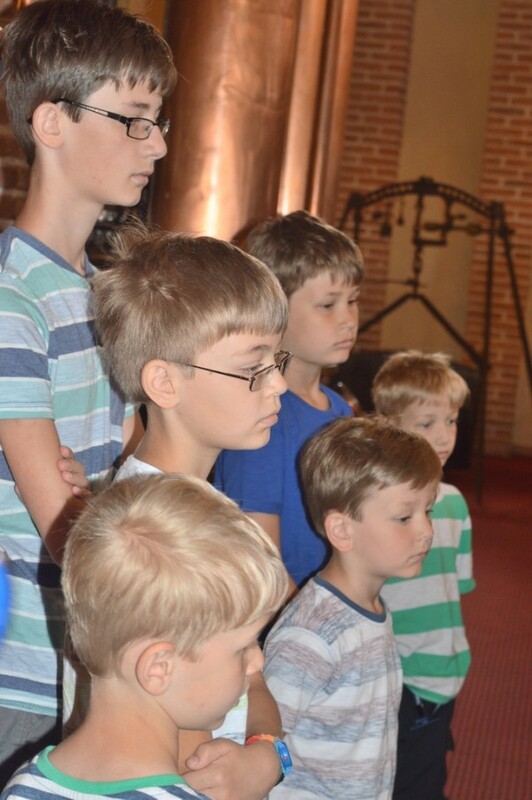 Several children generating a multitude of puffs led to some pretty interesting aromatic combinations! And finally, it was time to say goodbye! And the secret behind great grappa? 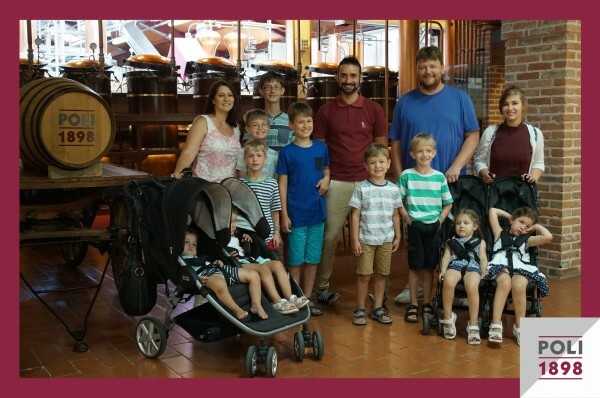 Many thanks to Alberto and everyone at Poli Grappa for a fabulous tour. We thoroughly enjoyed it and had a memorable time! 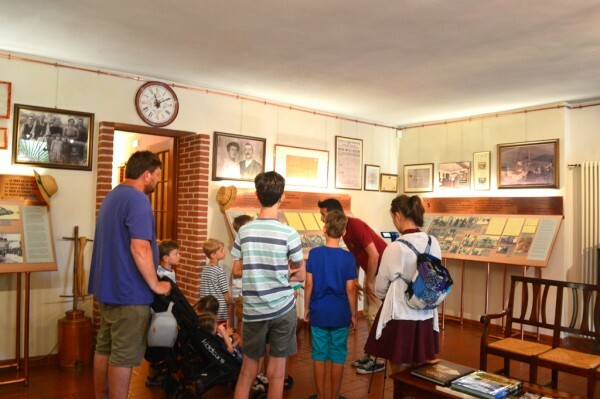 If you are visiting the Veneto region we would fully recommend taking a guided tour for yourself. Priced at just €3 per person we think it’s a terrific opportunity to get a unique insight into artisan grappa production. 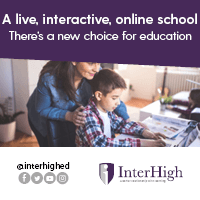 Find out more on the Poli website or email info@poligrappa.com.